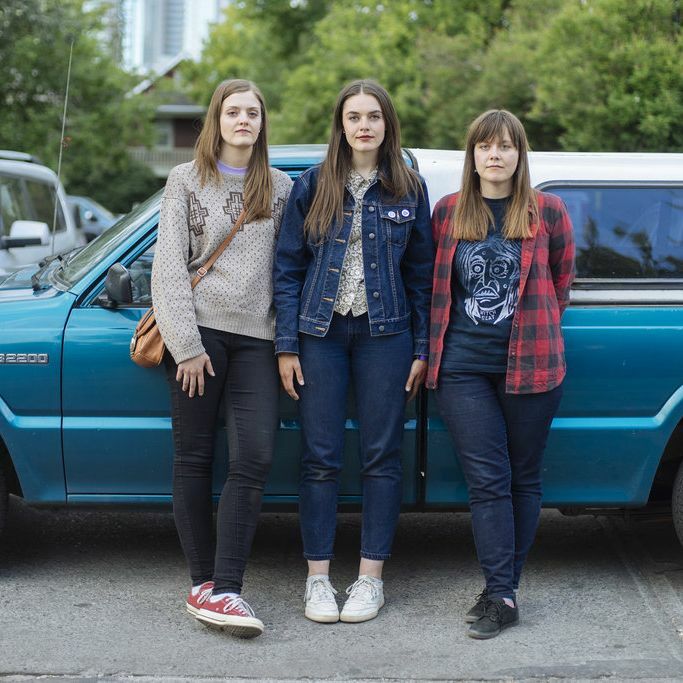 The Garrys are sisters trio from Saskatoon, Saskatchewan, Canada who conjure up surfy, garage-pop with a dash of doo-wop. Their new single ‘Makeout at the Drive-In’ is a shimmering slice of surf pop, with a hazy evocative atmosphere and melancholic longing at the heart of The Garry’s reverb-laden opus. Framed by quivering guitar licks, twangs and hazy fuzz, it has a mysterious downbeat vibe that conspire to create a somewhat eerie sound. For all this laid-back, mellow and sleepy undulating wonder, the trio’s true power comes from the entwined, sublime surfy, vocal harmonies of the three singers; delightful, pristine and utterly irresistible. With a touch of wistful, youthful yearning, ‘Makeout at the Drive-in’ is a sparkling introduction to The Garrys’ sound. The Garrys release their new single ‘Makeout at the Drive-In’ on May 13 through Grey Records. The single is lifted from the trio’s latest album, Surf Manitou, which comes highly recommended also, especially if you like reverb-laden, harmonious surfy goodness. Listen to it here.